1. 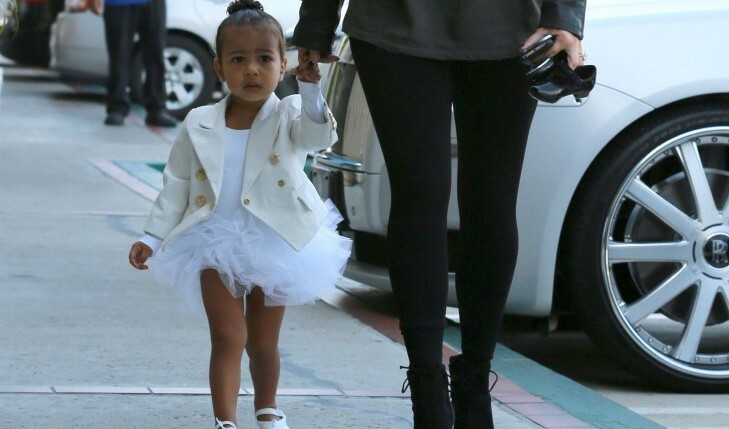 North West: Daughter to celebrity mega-couple Kim Kardashian and Kanye West, North was born into one of the most scandalous families on the planet. At only 4 years old, North has become a fashion icon, attended multiple runway shows during New York Fashion Week, and is the owner to a $12,000 toy SUV. 2. Blue Ivy Carter: This list wouldn’t be complete without the daughter to music moguls Beyonce and Jay-Z. Blue Ivy was born in 2012 and has since gone on extravagant vacations alongside her parents, in addition to even being credited on Beyonce’s self-titled album and making her rap debut on Jay-Z’s 4:44. 3. Jaden and Willow Smith: This famous duo has already been around long enough to make names for themselves, but are most commonly known as Will and Jada Pinkett-Smith’s children. Jaden, 19, grew up acting alongside his dad in films like The Karate Kid and The Pursuit of Happyness, while Willow, 16, was releasing bangers like “Whip My Hair” at only 10 years old. 4. Asahd Khaled: As the son to one of the hottest rappers in Hollywood, DJ Khaled, Asahd has had an amazing start to his life — and he’s not even a year old yet! Asahd was credited as an executive producer on his dad’s most recent album, Grateful, and his Instagram account (run by his parents, of course) has 1.1 million followers. 5. Suri Cruise: Perhaps one of the most famous kids on Earth, Suri Cruise is the daughter to Tom Cruise and Katie Holmes. Despite having a rather luxurious life filled with million dollar birthday parties, her parents got divorced in 2012, and Holmes currently has custody of Suri. Who are some of your favorite celebrity kids? Share your thoughts below.